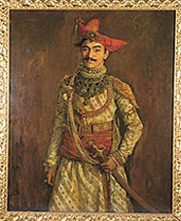 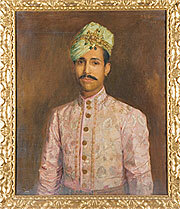 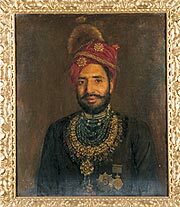 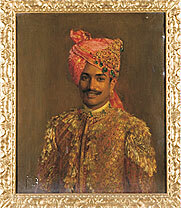 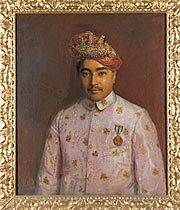 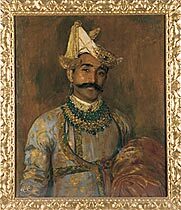 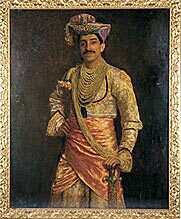 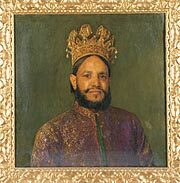 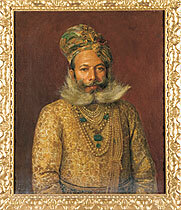 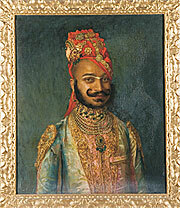 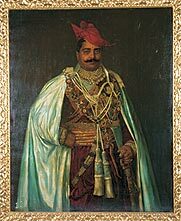 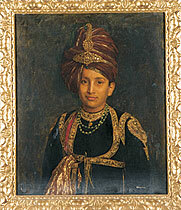 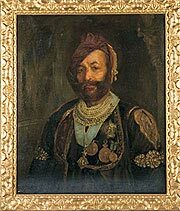 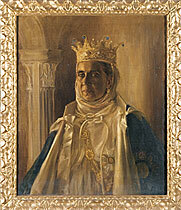 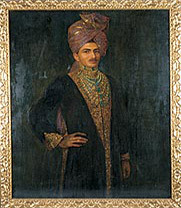 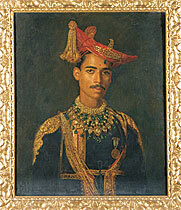 The paintings in the Darbar Hall were done by a portrait artist Herbert Arnold Olivier. 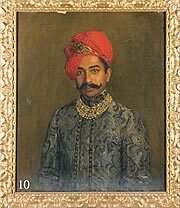 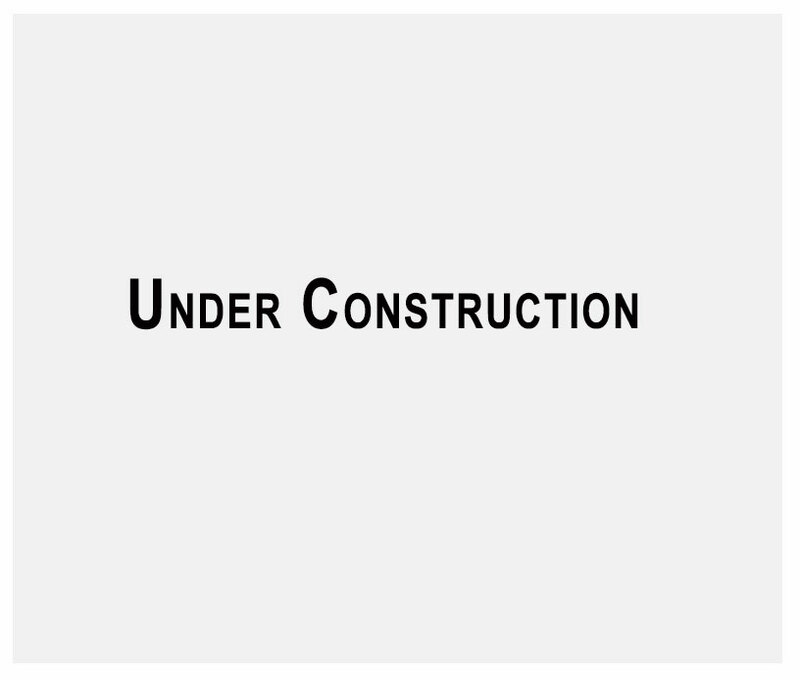 He represented Tate Gallery of British Art, London and The Daly College, lndore, India in several leading exhibitions like the summer exhibitions of the Royal Academy of Arts. 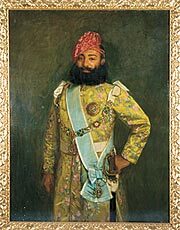 He was an official war artist in 1917. 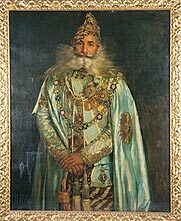 Herbert Arnold Oliver was the son of a clergyman Henry Arnold Olivier, born on 9 September 1861 at the Battle in Sussex. 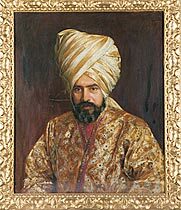 He studied in Royal Arts School, he was the winner of Silver Medal at Paris Salon, and exhibited at Royal Arts from 1883-1944 from London. 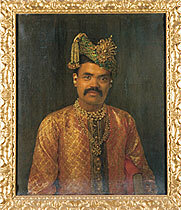 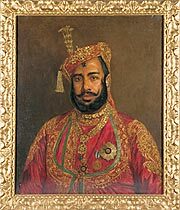 He was elected as a Royal Patron in 1894. 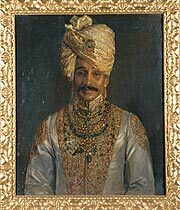 He died at Hayling Island on 2 March 1952 in his ninety- second year.